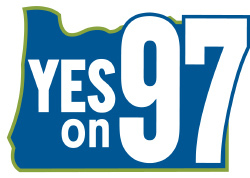 ONA supports Measure 97, which moderately increases the corporate minimum tax on large corporations doing $25 million or more in annual sales in our state. Oregon currently has the lowest corporate minimum taxes in the nation. This measure would raise an estimated $3 billion per year in revenue allocated to education, healthcare and senior services, ensuring that our communities have the services they need to thrive and large businesses pay their fair share. Measure 98 devotes approximately $300 million from the State General fund to career technical education, college prep, and wraparound services for dropout prevention in every Oregon high school. Districts have flexibility on how to spend the funds within those three categories. In exchange for flexibility, districts must disclose how they’ll spend the funds. The overall program will be audited by the Secretary of State every two years. Measure 99 creates an Outdoor School Fund from 4% of the revenue from the Oregon State Lottery Fund. This does not reduce lottery proceeds dedicated to education or to the restoration and preservation of parks and wildlife. This fund would allow every Oregon student in fifth or sixth grade the opportunity to attend a week-long outdoor school program. 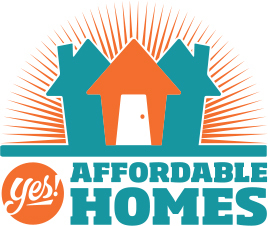 Yes for Affordable Homes is a bond on the Portland ballot asking voters to authorize $258,400,000 in general obligation bonds for affordable housing for low income households. These bonds will be used to build new housing, purchase, rehabilitate existing housing to maintain affordability, prevent displacement, allow residents to remain in their homes. The American Nurses Association (ANA), the national organization ONA is affiliated with, has officially endorsed Hillary Clinton for President. This resulted from an extensive process including a full membership survey as well as consideration of Clinton’s long-standing commitment to improving health care and keen understanding of the nursing profession. ANA recognizes Hillary Clinton’s record as a champion for nursing issues throughout her career and advocacy around empowering nurses in our healthcare system. 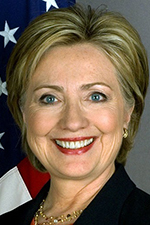 Clinton has expressed a commitment to achieving universal, affordable healthcare if elected President as well as addressing the national substance abuse crisis and protecting workers’ rights and safety on the job. The ANA is a full-service professional organization representing the interests of the nation's 2.9 million registered nurses. Governor Kate Brown has long demonstrates a deep understanding of ONA values and voices strong continuing support for improving nursing practice in Oregon. From preserving Nurse Practitioner payment parity to ensuring continued safe staffing standards, Governor Brown clearly stands with nurses and will be a great champion for nurse issues moving forward. Governor Brown was named a Friend of Nursing four times and was inducted into ONA’s Hall of Fame upon leaving the legislature. 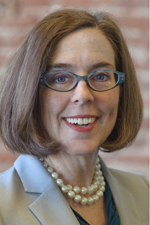 Governor Brown has been an outspoken supporter of improving health outcomes and protecting workers in Oregon, including helping pass a law that required insurance companies to cover annual breast exams, helping to create national nurses week in Oregon, and signing Paid Sick Days into law. 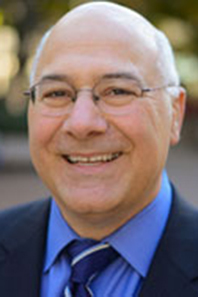 Labor Commissioner Brad Avakian has been an outspoken advocate for workers’ rights in his time as the head of the Bureau of Labor and Industries, focusing on improving enforcement of Oregon’s civil rights laws and working with Oregon’s business and labor communities to enhance workforce development efforts. Prior to this, he served in the Oregon House in 2002 and later the Senate beginning in 2006, where he supported ONA priority legislation around nursing practice and patient safety. We know that Commissioner Avakian will be a great advocate in the Secretary of State’s office, working to expand access to the ballot and increase transparency. ONA has chosen to endorse Representative Suzanne Bonamici because of her continuing excellent working relationship with ONA and ANA, and because she supports each of ANA’s priorities at the Federal level, including safe staffing legislation modeled after Oregon’s staffing law. Congresswoman Bonamici was first elected to serve Congressional District 1 in 2011 and has been a strong advocate for nursing, public health and Labor issues ever since. Ellen Rosenblum took office as the Attorney General in 2012 where she is the chief legal officer of the state. 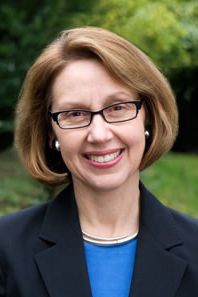 In her role as Attorney General, she writes ballot titles for Oregon elections, represents the state of Oregon in all court actions in which it is a party, and conducts all legal business of state departments, boards and commissions. Ellen Rosenblum has been a lawyer since 1975. In 1980 she became an Assistant US Attorney for the District of Oregon specializing in financial crimes and later was appointed as a judge to both the Multnomah County District and Circuit Court and the Oregon Court of Appeals. 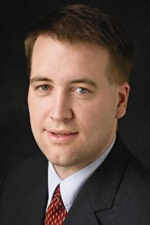 Tobias Read has been a State Representative for District 27 in the Beaverton area since 2006. Highlights of Tobias’ work in the Oregon Legislature have included leading the creation of a state savings account, helping advance a progressive environmental agenda and modernizing the Bottle Bill. Before serving in the Oregon House, Read worked as an aide to former State Representative Bryan Johnston as well as a special assistant at the U.S. Treasury under Secretary Larry Summers. He currently works as a product developer of youth footwear at Nike. Amanda Schroeder is a 3rd-generation union member, who has served in various roles within Oregon’s Labor movement for decades and is currently President of her union, AFGE Local 2157 (Federal Employees). She is a military veteran and longtime Veterans Affairs service provider. Amanda’s passionate advocacy for the needs of East County and priority to invest both in front-line workers and the important role of RN’s at Multnomah County has helped her earn ONA’s support. 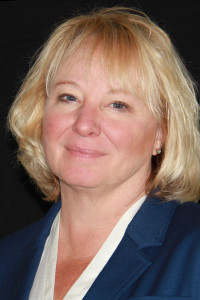 Tonia Moro is a longtime Medford Attorney who has practiced land-use law, constitutional law, municipal law, criminal defense appeals and business and real estate law. She has also worked on clean energy policies, helping found the Rogue Climate. Moro is also on the board for OnTrack, an addictions and recovery organization where she worked on issues relating to mental health and family services. Moro previously ran a write-in campaign for County Commissioner in the primary. Teresa Alonso Leon grew up in Woodburn and currently serves on the Woodburn City Council. She works as the state’s GED administrator for the Office of Community Colleges and Workforce Development. Prior to that, Teresa worked at both Portland State University, developing the Community Outreach Program and the Faculty Mentoring Program targeted at faculty of color, and at Portland Community College where she developed a national leadership program for migrant students. Jim Thompson is a lifetime Oregonian and now lives in Dallas. 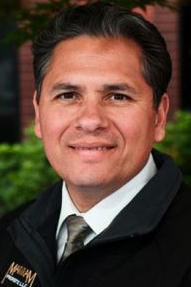 He previously serviced as the Executive Director of the Oregon Pharmacy Association and currently serves on the Oregon Health Care Volunteer Advisory Committee Health Safety Net Advisory Committee, and the Public Health Logistics Workgroup. 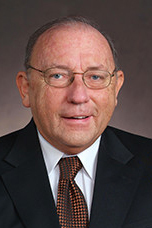 Thompson served in the legislature from 2009 to 2015 where he served on the Health Care, Agriculture and Business and Labor Committees. In 2013, Representative Thompson earned a Friend of Nursing Award from ONA. Sheri is a longtime ONA member and public health nurse who has held numerous leadership roles, including on the PAC Board as a Unit Rep and on various negotiating teams. She is an outspoken champion for nursing priorities with unparalleled experience and deep understanding of nurse issues. Sheri will also be a strong voice for policies that promote quality education, affordable college tuition and a healthy environment. ONA is proud to support this fellow nurse leader! 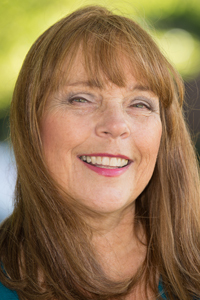 Janeen Sollman grew up in Washington County and currently serves on the Hillsboro School Board. She has served on the board since 2009, serving as Chair from 2011 to 2013 and on various committees. Sollman is a recycling and customer service specialist for Vernier Software & Technology, an education software company based in Washington County. Sollman and her husband of 25 years have two sons that they raised in the Hillsboro area. Mark Meek has lived in Clackamas County since 1994 and has worked as a real estate business owner since 2002. Prior that, he served 8 years in the Air Force before leaving with two commendation medals for service and dedication. Mark has also served as committee chair for the Milwaukie Relay for Life, benefiting the American Cancer Society and regularly fundraises to support the event. His service, dedication to public health outcomes, and robust campaign will make him an excellent candidate for HD 40. Janelle Bynum is active with the North Clackamas Parent Leadership Alliance and the Equity Committee in her community in Happy Valley. Bynum grew up in inner city Washington DC and earned scholarships to put herself through college, earning her B.S. in Electrical Engineering and a Master’s in Business Administration from the University of Michigan. Following the 2015-16 Legislative Sessions, ON-PAC selected the following legislators to receive Friends of Nursing Awards in recognition of their outstanding leadership and support for ONA’s legislative agenda. These awards honor legislator commitment to improving nursing practice, patient care and public health outcomes and come with an endorsement for each of their campaigns for re-election.